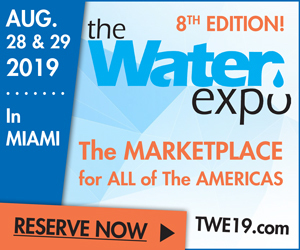 With over 42 years in the water treatment industry, 36 of those as a Professional Engineer and consultant, I’ve seen a wide variety of treatment technologies that coincide with the emergence of treatment issues. There are a multitude of treatment options available to address a host of situations. That said, it must be expected that some work better than others, dependent upon the application, water type and test results. Before we dig deeper, I would like to offer some personal insight on water treatment. To begin with, it is important to realize that all water supplies contain contaminants. No two water sources in the world contain exactly the same kind and concentration of contaminants. It is also important to understand that it’s virtually impossible to remove all of any waterborne contaminant. 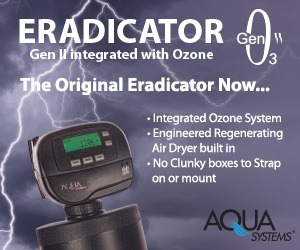 Now that we have the analytical expertise to measure concentrations down into the parts per trillion (ppt) range (equivalent to about one second in 35,000 years), we know that there is no such thing as water containing absolutely no contaminants. This all underscores just how complicated the challenge of removing contaminants can be and how difficult it is to completely comprehend how (and how well) a specific treatment technology works. That said, everything on Earth must adhere to certain laws of physics and chemistry. These laws, known as fundamental laws of thermodynamics, are all related to conservation and expenditure of energy. Just knowing these laws doesn’t mean we can completely understand how all technologies work. Take, for example, the salts rejection of RO membranes. We know without a doubt that ionic contaminants are rejected and that the degree of rejection is related to the intensity of charge (multivalent > monovalent), but the exact mechanism continues to be the subject of considerable debate. The phenomenon that a nanometer-thin water layer between two smooth surfaces is not squeezed out under extreme pressure has not been fully understood. Research at the University of Akron now shows that naturally occurring charges between the surfaces trap the water and impart ice-like properties to it, thus significantly reducing friction between the surfaces, which is an example of a science-based discovery that may offer interesting developments for the future. Another example of a phenomenon that appears to challenge science is that simple logic tells us cold water will freeze more quickly than hot water; however, some tests have shown just the opposite. Introduced to the modern scientific community in 1969 by a Tanzanian high-school student named Mpemba (and now known as the Mpemba effect), this quirk of nature has been observed in a number of controlled experiments, but is still not completely understood. Such factors as the specific characteristics of the cooled warm water, its change of mass, dissolved air content and even convection currents produced by the cooling apparatus, likely play a role. These factors are all based on scientific principles and it’s just a matter of time and effort before this interesting phenomenon is also explained (without violating any laws of physics and chemistry). This effect is an excellent example of the technical challenges to understanding such a seemingly simple process as freezing water. The industry has a plethora of purveyors of technologies based on junk science, errant rubbish, meaningless clap trap, etc. The bottom line is that the great majority of these miracle mechanisms are not based on sound scientific principles and do not work. From this point onward, I will use first personal pronouns because this article is largely based on my experience in water treatment. As I am not a physician, I will steer away from the (generally absurd) health claims made for these products and concentrate on claims made for removal of specific waterborne contaminants and general water quality improvement. The subjects of the miracle mechanisms in this presentation are commonly called physical water devices (PWDs), non-chemical devices (NCDs) and many other names not appropriate for publication; I’ll use the general term physical water conditioners (PWCs). (These devices, in one form or another, have been marketed since the 1930s and in actuality, a US patent was granted for one such system in 1890.) In this article, I will address a major common treatment issue for which there are multiple options: the not-so-wonderful world of limescale. Water is undoubtedly the most studied substance on earth, but remarkably, it is so complex as to be poorly understood, even by scientists. For example, chemists still can’t agree on how water molecules arrange themselves in a liquid drop. 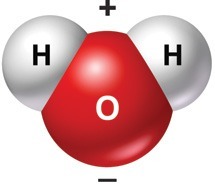 Water is the second most abundant molecule in the universe, behind hydrogen. In our bodies, there are a hundred times more water molecules than all the other molecules put together. Pure water is a chemical compound made up of only two atoms of hydrogen and one of oxygen (H2O). It is extremely stable and difficult to decompose. Based on its chemical formula, water should exist as a gas instead of a liquid and it is one of the few known substances whose solid form (ice) is less dense than its liquid form. That’s why ice floats on water and pipes burst when they freeze. A very unusual property of the water molecule is its shape. Rather than existing in a straight line (such as a barbell) with hydrogen atoms at each end and the oxygen atom in the middle, the molecule is V-shaped with the hydrogen atoms at an angle of 104.5° from each other (see Figure 1). This contributes to the unique properties of water: one side is slightly negative and the other slightly positive, which imparts polarity and influences the way each molecule reacts with its neighbor. The liquid water structure is similar to a gel in perpetual motion with the bonds between hydrogen and oxygen atoms constantly breaking and reconnecting very rapidly (in picoseconds). Often called the universal solvent, water wants to dissolve every substance it contacts. The particular characteristics of the substance as well as the properties of the water itself (pH, purity, temperature, etc.) influence this aspect. Water is also an excellent growing medium for most microorganisms, including some of the very few that are pathogenic, affecting human health. 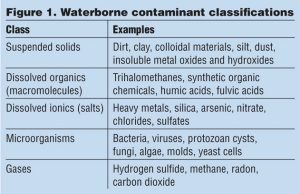 If these contaminants in water are undesirable, for one reason or another, the water must be treated to remove them or to mitigate their influence. 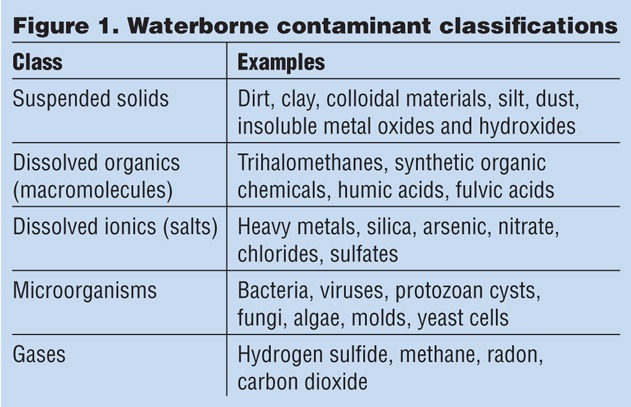 Figure 1 lists the classes of waterborne contaminants. These classes are defined by the chemical state, which largely dictates the treatment technology choices. Virtually all fresh water supplies throughout the world contain at least some hardness (calcium and magnesium) compounds. Calcium carbonate, in particular, is very insoluble in water (~15 mg/L). Therefore, as the result of any concentrating event (evaporation, for example), this insoluble compound is formed, known as scale. In addition, it defies the normal laws of chemistry in that as water is heated, it becomes less soluble (retrograde solubility) and deposits scale on surfaces. This explains why water heaters scale so readily in hard water. When hardness scale is produced, it is in the form of a crystal. In the case of calcium carbonate, two separate crystals (calcite and aragonite) can develop. Although scale associated with hard water can contain numerous other ions (magnesium, iron, manganese, silica, sulfate, etc. ), the main culprit is calcium carbonate in crystalline form. Crystals typically form in super-saturated solutions, where the solubility of the calcium carbonate has been exceeded. A nucleation site of some kind must be present for the crystals to begin growth. Most commonly, these sites are wetted surfaces of pipes, vessels, heating elements, etc. To make things even more complicated, this scale can be either soft or hard—the mechanism behind this is not completely understood. Calcite is the most common form of insoluble calcium carbonate. It is a trigonal, hexagonal, scalenohedral crystal and may be white, colorless, gray or even yellow or green. (A bit of trivia: in WWII, high-grade transparent calcite crystals were used as gun sights.) Aragonite is another form of calcium carbonate, usually resulting from biological processes and with more columnar (needle-like) crystal forms. It supposedly will not attach to surfaces, as readily as calcite. Because of its retrograde solubility, the rate of calcium carbonate crystal growth is increased at higher water temperatures. At decreased pressure, more growth occurs, as well as at elevated pH levels. Scaling on heat-transfer surfaces (heating elements, cooling towers, etc.) significantly reduces heat transfer and increases operating costs. In residential applications, scaling is considered the primary cause of water heater failure. As opposed to another relatively insoluble common scale, calcium sulfate, calcium carbonate is readily dissolved by acid. The prevalence of hard-water supplies, resulting in the issues of scaling, staining, soap scum, etc., has produced a huge market for water softening (scale reduction) technology. The most practical treatment in residential applications is known as sodium ion exchange, softening utilizing a special cation resin containing attached sodium atoms. As hard water passes through the resin, calcium and magnesium ions replace the sodium ions and adsorb onto the resin, based on a chemical phenomenon known as ion selectivity. When the resin has reached its adsorptive capacity, the softener must be taken off line for regeneration. The resin is regenerated by running a high concentration of sodium chloride (or potassium chloride) through the resin. This high ionic strength strips off the calcium and magnesium ions, replacing them with sodium (or potassium) and returning the resin to use. A 2009 scientific study commissioned by the Water Quality Research Foundation and conducted by the Battelle Memorial Institute compared scale accumulation in gas-fired and electric residential water heaters fed with softened and unsoftened water supplies. The results of this study are summarized in Figure 2. The North American market for residential water softeners is estimated to be 785,000 units/year. The cost and handling issues associated with granular or pelletized sodium chloride (salt), combined with the potential reuse complications caused by high concentrations of discharged chlorides (spent regenerant), may be responsible for the influx of numerous, chemical-free, anti-scaling technologies, most of which have never been validated scientifically. In addition to residential applications, the requirement for softened water extends to commercial (hotels, restaurants, etc. ), institutional (hospitals, care facilities, schools) and industrial manufacturing, where hard-water scaling is of particular concern. Softened/calcium-free water is also required for cooling towers, which exploit water evaporation to lower the temperature of recirculated water. This evaporation process, of course, can cause significant precipitation and scaling issues. The market potential for commercial/industrial softeners is in excess of 60,000 units/year. The water treatment industry is charged with manipulating water to make it acceptable for a particular use. 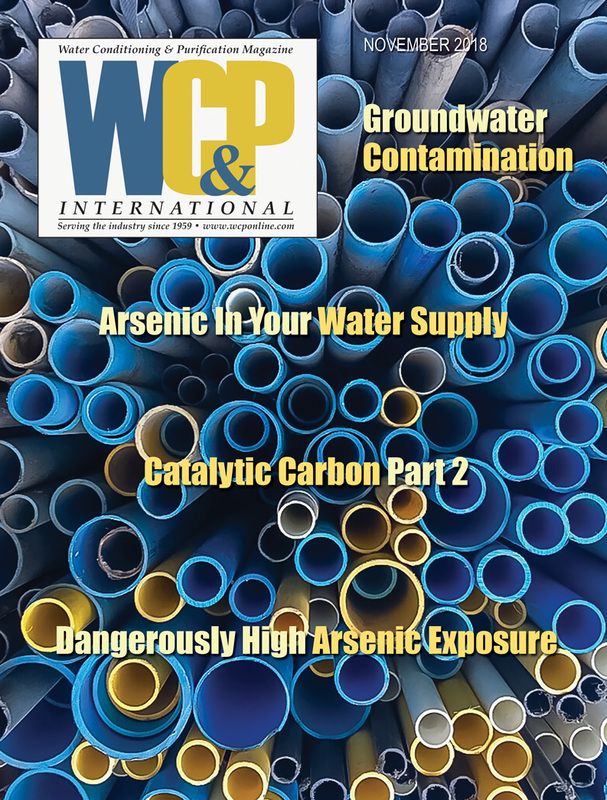 The very large number of contaminants, each with its unique properties, combined with the many treatment technologies (influenced by changing water quality application requirements and other factors), make this activity extremely complex and challenging. Unfortunately, most consumers and many of the commercial and industrial decision makers responsible for purchasing treatment technologies have neither the technical background nor experience to determine which technology is best or even if it will work at all. Magnetic PWCs employ one or more permanent magnet(s) attached either outside or inside of the water pipe. Electromagnetic PWCs utilize alternating or pulsed currents passing through a solenoid to generate magnetic fields. The magnetic fields generated by both categories are claimed to affect the formation of calcium carbonate crystals, producing aragonite rather than calcite crystals. Aragonite is claimed to not stick to surfaces. Some magnetic and electromagnetic PWCs supposedly work because the salts in the flowing water produce anionic and cathodic zones in the magnetic flux lines. These zones are claimed to produce galvanic corrosion (in the absence of dissimilar metals), resulting in the formation of particles as nucleation sites. Yet another mechanism claimed for these is that iron is “excited by an electric charge” and itself allegedly acts as a nucleation site. This claim discounts the chemical fact that iron in normal, non-acidic water supplies forms an insoluble hydroxide or oxide compound and immediately precipitates. Mechanical devices are designed to disrupt the flow and/or pressure of flowing water, thereby somehow altering its chemistry. Catalytic devices come in many configurations, but mainly are housings filled with a proprietary material that imparts scale-reducing (or other) properties to the treated water. The only catalytic device that appears to actually meet its performance claims (to my knowledge) is template-assisted crystallization (TAC) media. This process, which came on the scene in 1998, appears to minimize scaling without requiring regeneration or utilizing ion exchange. TAC utilizes polymer beads, not unlike the ion exchange resin in traditional water softeners. These beads, however, contain microscopic nucleation sites that cause calcium and magnesium crystals to form at the site and ultimately detach from the resin into the water as insoluble particles. These colloidal-sized particles do not attach to surfaces and are carried out with the water. As a result, although TAC does not actually remove hardness, it does minimize scale attachment to surfaces. This process requires no power, chemical addition or backwashing. The life of the resin is typically about three years. It has been thoroughly tested by credible, third-party institutions and has been shown to generally perform as claimed; however, the local water chemistry appears to have an effect on performance. For example, TAC has been shown to be ineffective for silica removal. Of course, as with ion exchange technology, TAC resins are susceptible to fouling. This underscores the requirement to review total installation details and demand complete water analyses for each application. Electrostatic PWCs typically utilize two electrodes charged with high voltage from a DC power supply, but with little current flow. Water flow passes between the charged electrodes. As with the magnetic devices, the calcium carbonate is claimed to nucleate in suspension, thus reducing surface scaling. In other words, although scale is formed, it does not stick to surfaces. The common theme with almost all of these devices is that the chemistry of the calcium carbonate is permanently changed and because calcium carbonate in the aragonite form will supposedly not stick to surfaces, the nucleation sites required to initiate the formation of scale are in suspension (as opposed to on a surface) and hence, the scaling problem is solved. Many claim that their technology will also effectively remove scale already attached to surfaces, by exfoliation or some other undisclosed mechanism. As is the case with so many of the new technologies we take for granted today, the average person has neither the academic training nor specific technical experience to completely understand how they work or even how the devices are made. We have to rely on credible, third-party testing, with performance claims based on this testing. Testing organizations require comprehensive, scientifically accurate and reproducible test protocol. This protocol should be developed by qualified individuals and based on careful analysis and sound science. With hundreds of manufacturers who have offered thousands of devices to the industry over the years, it is difficult to make all-inclusive statements. At the risk of doing so, my conclusion is that, with the exception of TAC described above, no PWC device has actually survived rigorous, third-party, scientifically credible testing to support the specific scale-reduction claims made for it. That said, in carefully controlled laboratory experiments, some effects on calcium carbonate scale formation have been noted; however, the effects have been slight, unpredictable, apparently uncontrollable and therefore, consistently not reproducible. With regard to scaling of residential water heaters, the International Association of Plumbing and Mechanical Officials (IAPMO) is in the process of preparing one such protocol, IAPMO/BSR Z601-2016 Scale Reduction Devices, now an ANSI Public Review Draft document. If approved, it will constitute an American National Standard and be available to qualified testing organizations as a test protocol. This protocol describes a method to evaluate scale reduction technologies and certify their effectiveness. 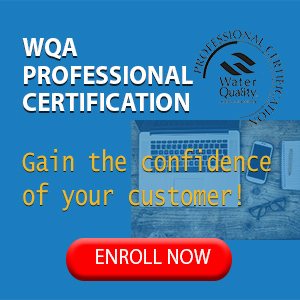 The test water has a representative analysis, containing 450 ± 50 mg/L (26 ± 2 gpg) of hardness and both tank-type water heaters (gas or electric) and tankless water heaters can be utilized. Four units, including control, are tested over a 10-day period. For a technology to be considered acceptable, the scale which has accumulated on the heating surfaces (measured by acid dissolution and chemical analysis) must be less than 30 percent of that produced in the control units (subject to change, pending review). Only the actual scale deposited on the elements is quantified. Virtually all the PWC device manufacturers claim that they change the characteristics of the scale so that it forms free-floating particles in the water that do not attach to surfaces. If this is actually the case, it should be possible to use microfiltration membrane technology to test the veracity of a particular manufacturer’s claim. For example, a tight MF membrane, say 0.05µ pore size, should concentrate these particles, allowing a simple analytical test to verify their concentration as compared to a water stream that has not been exposed to the device. In addition to the effects on scale formation, many PWCs claim other benefits, including microorganism reduction, biofilm prevention/removal, change in water viscosity, beneficial effects on ice production/formation and reduction of total dissolved solids (TDS). Those claims will be addressed in Part 2.